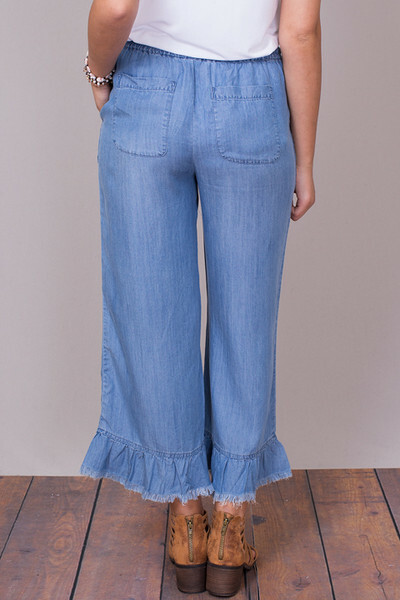 The Ruffle Pant made by Billy T will have you thinking your still in your PJ's. 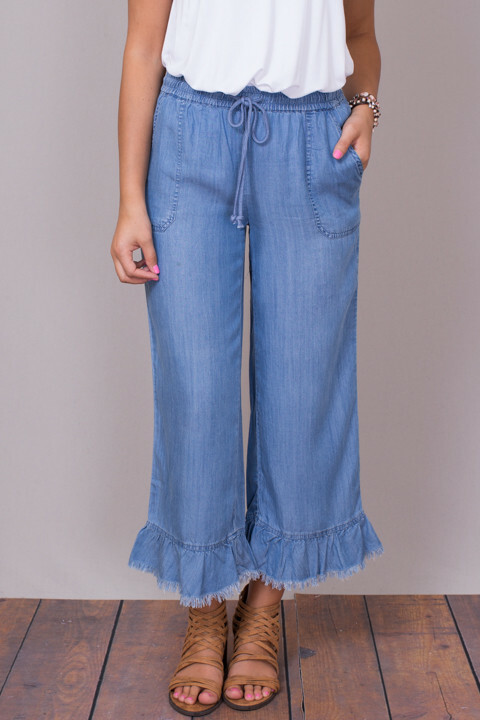 These chambray cropped pants have an elastic waistband with a drawstring, pockets on either side and a wide leg cut. The raw ruffle hemline makes these so unique and fun to wear. Pairs well with a white tank and sandals for the perfect causal, laid back look. 100% lyocell. Machine wash cold on gentle cycle, and tumble dry low.